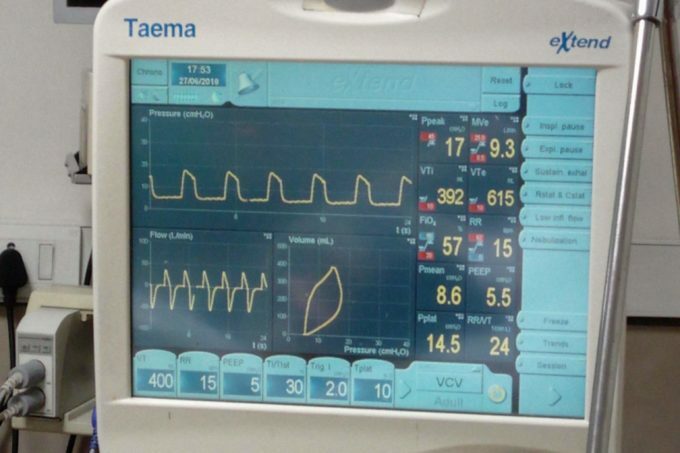 Ventilator provides complete life support for the patient with post-surgical and ARDS etc. Check the ventilator with the resuscitation bag using the PEEPand high concentration oxygen. Do not use the exhaust port of the expiratory valve for the spirometry. Avoid using flammable agents or material on the ventilator setup. Don’t use the contaminated items, oil or grease on the ventilator. Highly compressed oxygen together with flammable sources could lead to a spontaneous explosion. In case of fire, stop the ventilation and disconnect all the accessories and disconnect from the electric circuit.